More than 350 people have already died in Kerala—the state that is battling one of the worst floods in the recent history. Experts have suggested that this latest deluge is not entirely of nature’s making, putting the blame on faulty dam management. The state threw open dozens of dams when water reached danger levels, flooding the nearby regions at a much faster rate than expected. Questions have been raised as to why did the authorities wait till the last moment and then open all the gates at one go. While the state now turns its focus on rescue operations and rehabilitation drives as the water level recedes, it is imperative to check if the mistakes that landed the state in such distress were few or several and recent or repetitive. Here are a set of questions, the answers to which will tell us how prepared was Kerala, in fact, the entire country, when it comes to dam safety or floods. This analysis is based on audit reports prepared by the Comptroller and Auditor General (CAG). How much did we allocate and spend on dam safety? Last year’s CAG audit said that “a central sector scheme, namely ‘Dam Safety Studies and Planning’, was introduced during XIth Plan with a total provision of Rs 10 crore, which was subsequently revised to Rs 6 crore”. Against this allocation, the CAG audit tells us that “expenditure of Rs 4.22 crore was incurred during the XIth Plan”. Subsequently, this scheme was subsumed in another scheme titled Dam Rehabilitation and Improvement Project (DRIP), which was a state scheme with a central component being implemented in the Central Water Commission (CWC). DRIP envisaged rehabilitation of 223 existing dams and institutional strengthening on the front of dam safety in four states, namely Kerala, Madhya Pradesh, Odisha and Tamil Nadu. The Dame Safety Rehabilitation Directorate within Dam Safety Organisation of CWC was tasked with the overall responsibility for the project oversight and coordination of DRIP. How committed were state governments in preparing Emergency Action Plan? “As per Crisis Management Plan for Dam Failures (March 2011) prepared by National Committee on Dam Safety of the Union Ministry, several state governments were asked to come out with Emergency Action Plan for each of its large dams,” said a CAG audit report. It’s also shocking that CWC had prepared the guidelines for ‘Development and Implementation of EAPs for Dams’ in May 2006 and had circulated it to state governments for action. So this communication dated March 2011 as per Crisis Management Plan for Dam Failures, suggests that five long years lapsed between May 2006 and March 2011, without state governments taking much action on preparing EAP. Were EAP and Operation & Maintenance (O&M) Manuals prepared for dams in Kerala? What is the extent of flood-prone area in Kerala? 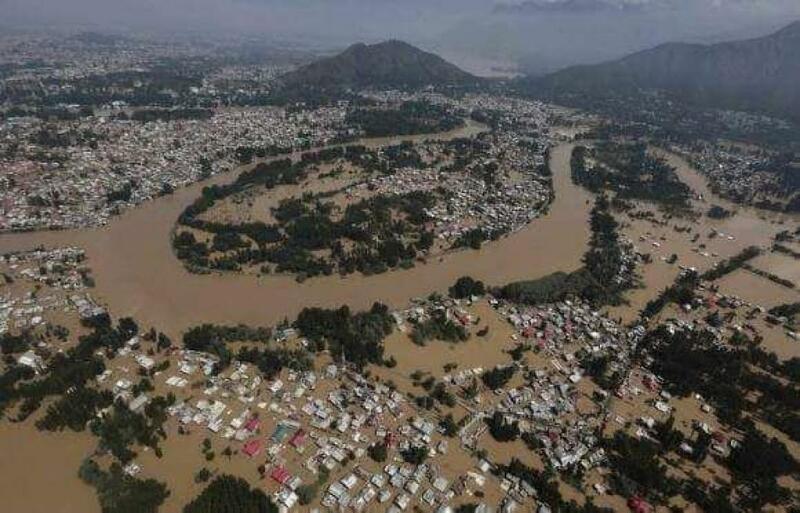 The Rashtriya Barh Aayog (RBA) had estimated 8.70 lakh hectares as flood prone area out of 38.90 lakh hectares of geographical area in Kerala. The CAG report also says that Kerala was amongst those six states whose estimation of flood prone areas was taken up by regional committees for scientific assessment. Why didn’t the Central Water Commission establish a single flood forecasting station in Kerala? “The CWC has not established any flood forecasting stations in 15 states and union territories. The list included: Andaman and Nicobar Islands, Chandigarh, Dam and Diu, Goa, Himachal Pradesh, Kerala, Lakshadweep, Manipur, Meghalaya, Mizoram, Nagaland, Puducherry, Punjab, Rajasthan and Sikkim,” said the auditors. The fact that those agencies which are responsible for disaster preparedness only indulge in the blame game again puts a question mark on if we should believe the statement of an unnamed official of CWC in this news story. How much central assistance did Kerala get under the Flood Management Programme? During the XIth Plan period, four FMP were approved in Kerala, with an estimated cost of Rs 279.74 crore, and against this Rs 63.68 crore were released during the XIth Plan and another Rs 55.22 crore during the XIIth Plan. So, Kerala got Rs 118.90 crore as against the estimated cost of Rs 279.74 crore. Were there deficiencies in project proposals for Flood Management Programme in Kerala? CAG auditors note that they didn’t come across any specific project proposals for FMP, KEL-1, KEL-2, KEL-3 and KEL-4. The audited entity tried to justify this on the ground that DPRs were prepared in 2009 and 2010 based on the recommendation from the study report of M S Swaminathan Research Foundation for another project approved in principle by Government of India in July 2008. Representing the audited entity’s view, the CAG report states, “Detailed Project Reports were prepared based on hydrological survey, meteorological data collection and engineering surveys including total station surveys and scientific study reports furnished by joint team of IIT, Chennai, and Centre for Water Resources and Development Management, Kozhikode. The Water Resources Department, Kerala also stated, in a reply, dated June 2016 that “the soil investigation for project KEL-2 was conducted by Kerala Engineering Research Institute, Peechi”. Having taken on record the reply by audited entity, CAG audit report goes on to say, “We, however, found that the above said study was conducted for another project for which final reports were submitted to Government of Kerala in December 2011, after the DPRs for the projects KEL-1, KEL-2, KEL-3 and KEL-4 had already been prepared (2009/2010). Further, the study report on soil investigation was also submitted only in December 2012 after preparation of DPRs”. And then comes a concluding statement in the audit paragraph, “As such, the methodology for preparation of DPRs could not be verified”. Were quality checks carried out by monitoring agencies with respect to FMP in Kerala? The CAG audit observed that the prescribed quality checks were not conducted by monitoring agencies in 77 projects of seven states examined. This observation was applicable to all four projects in Kerala. Let’s hope that CAG of India decides to carry out a specific performance audit of the Kerala Flood Disaster 2018. This is india, the ministers think that this country is there father property....media will publish reports, articles , disscussions , at last nothing will happen, beacuse we dont have that machinary. Another reason is poor qulality of education. If we are bound to think only for our basic needs, we wont able to think about nature. That the politics played in india.Again every body will be busy for there own basic needs, and again this stupids netas will start to loot.